Ever since my husband, Kyle, and I met at Grand Valley State University, life had been smooth sailing. We lived in Chicago with our beautiful daughter Mikaela until Kyle got a job in San Francisco at a cancer research fellowship. We were plugged into a wonderful church, were surrounded by friends, and felt fully in tune with the Holy Spirit. Then our little Ashton was born. Sleepless nights, new nap schedules, hundreds of headaches, and countless precious moments with our new baby boy. He grew fast and things felt perfect; we were in love with our new life as a family of four. But at two months Ashton still couldn’t hold his head up on his own, and we hadn’t seen him smile yet. We called the doctor after we noticed that his eyes were out of sync—as if he had two lazy eyes. After just one appointment, we were sent to a pediatric opthamologist. 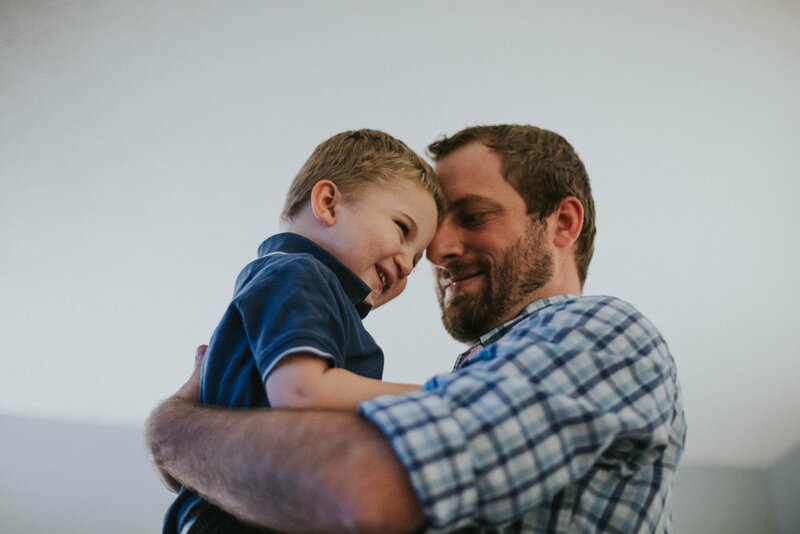 “He’s just a little behind,” we thought, “he’ll just need glasses.” With a deep breath, we walked into the doctor’s office and told ourselves that everything would be ok.
A medical condition arising from the underdevelopment of the optic nerve(s). Impaired vision, learning disabilities, developmental delays, hormone deficiencies. We were devastated. I felt as if everything that had been given to us—every precious moment, every smile, every beautiful moment—was ripped out of our hands. All we were left with was the reality of his diagnosis. We knew we would have to rely on family during this battle, so we moved to Kalamazoo as soon as we could. We put Ashton in therapy, his vision improved, and slowly he began to learn to crawl and walk. After almost two years of of MRI’s, tests and therapy sessions, we finally received some long-awaited answers. A genetic test revealed that Ashton had a gene mutation on chromosome 3 called STAG1. We learned that there was nothing we could have done to prevent it, but there also wasn’t anything we could do to fix it. It was just one of the thousands of unique mutations that anyone could possess, but for Ashton it could cause epilepsy, speech delays, developmental delays, and autism. We wanted to know everything about his mutation, and everything we could possibly do to help our son. But almost everything known about it was confined to one medical publication that analyzed just 17 individuals with STAG1 disorders—all the individuals known in the world to possess this disease. STAG1 disorders are so rare that the syndrome doesn’t even have a name. We felt as if we were all alone. All alone in our small city, dealing with a disorder that seemed infinitely bigger than any of us. Family and friends showered us in love, doctors and therapists did what they could, but no one person could provide us with the peace we desperately needed. We just didn’t know what to do. Then, as if right on time, the Radiant Church Portage Campus opened. We prayed that this church would be a place of peace for our little boy. Our prayers were answered when one night Pastor Lee was closing his sermon and prayed specifically for those with optic nerve damage. From that night on, Radiant Church was home. Since then, Radiant has been a beacon of hope. 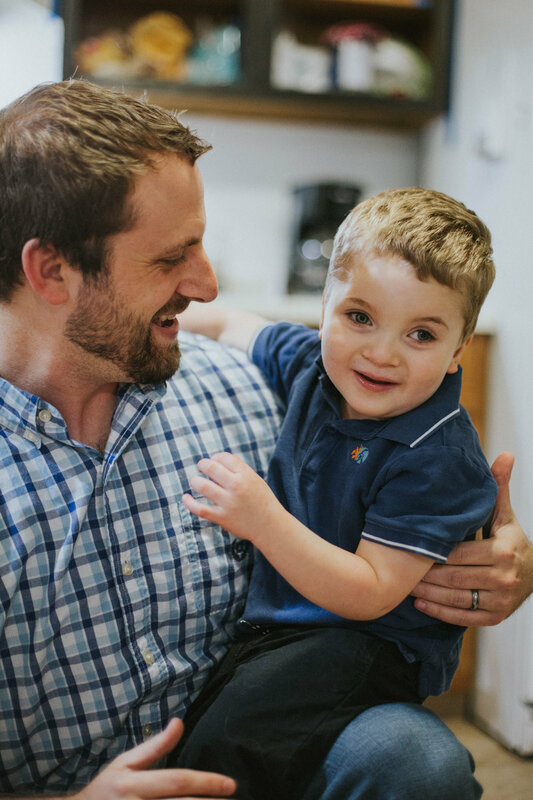 When the special needs ministry launched at Portage, Ashton was paired with a one-on-one helper. For the first time ever, he was able to attend the class for his age group. Now, Kyle and I are able to attend service together without worrying about Ashton. The special needs team adores our son and cares for him with an incredible amount of love. They do therapy with him during class and work on mobility, eating, and play. All while learning about the love of God! While Ashton will always have to fight through his disorder, we know he will never have to fight to see the blessing and love of God. Every weekend our family is reminded that we are not alone.